There's one place that most people do not see as a place of grace and yet it is. That place is the no other than the place of service to others. When we serve others, in the right way, we grow and we are strengthened in our faith. The key, of course, is to serve in the right way. There is a place where all our spiritual disciplines find its proper context. This is no other than the place of authentic community. Simply put, prayer is just talking with God. But, as simple as it is, we often struggle in the area of prayer. Our lives are so hurried, and we seldom have the time to pray. Yet fervent prayer is the key to deepening our experience of God each day. We need grace in our lives. 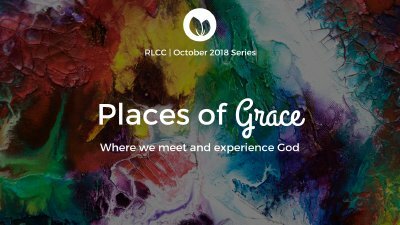 There are places where we can experience more of God's grace. But we need to know how that can happen in each place. One such place is a place of true worship.